Just this month the the G.I. 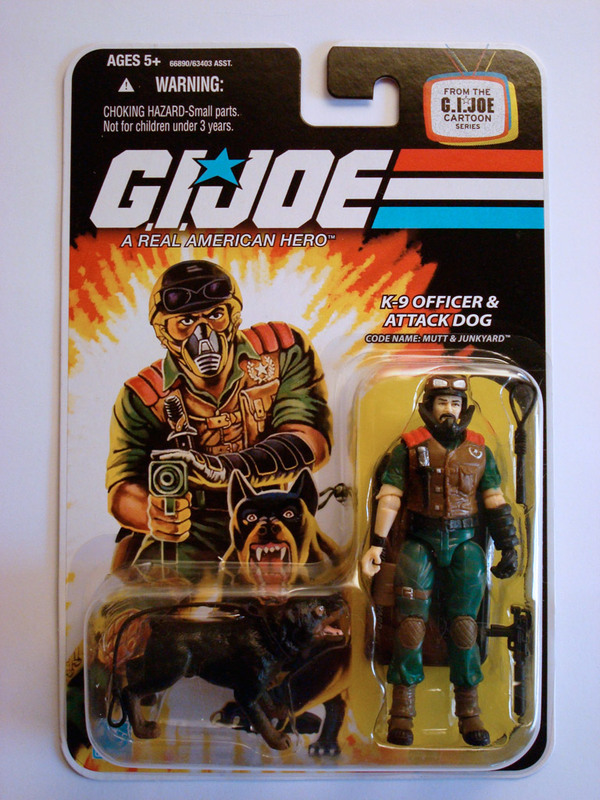 Joe and Cobra 5-Packs for 2009 have been released. This marks the 3rd Cobra set and the 2nd G.I. Joe set. The Cobra set includes Storm Shadow (5-Pack v3), Baroness (5-Pack v2), Cobra Commander (5-Pack v3), Zartan (5-Pack v1) and a Cobra Viper (5-Pack v1). There is some subtle retooling on these figures to improve their overall look and articulation. 1) Storm Shadow (v3) has new sleeveless arms where the wrist articulation is actually at the wrist instead of halfway up the arm wrap. 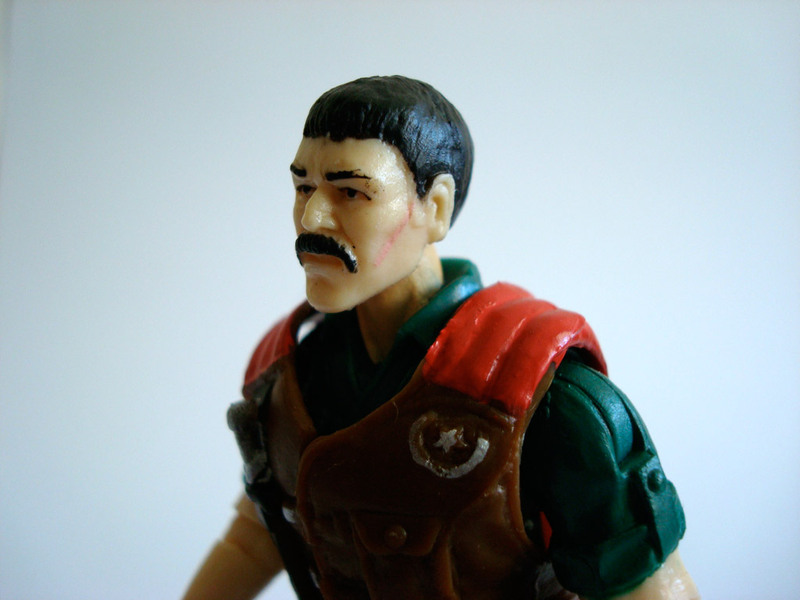 He also comes with some new accessories: a pair of nunchucks and a grappling hook. 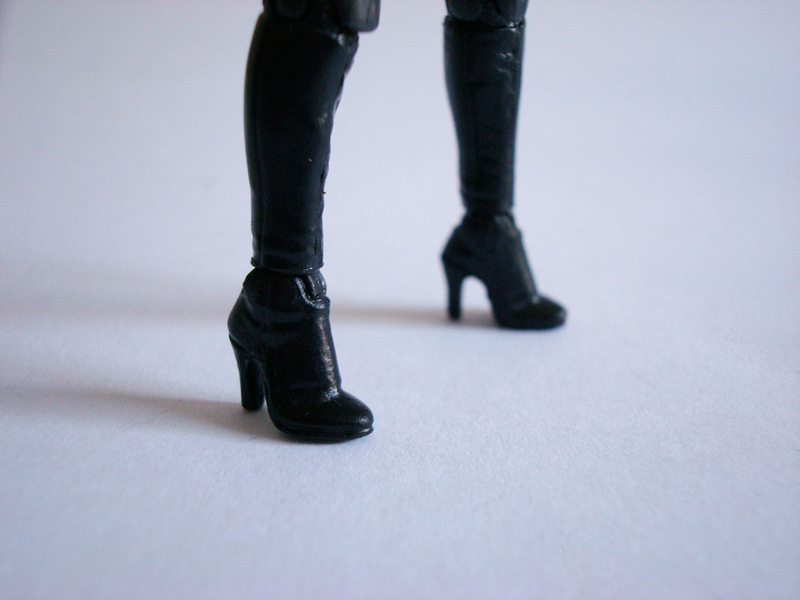 2) Baroness (v2) is an all new sculpt with her new head sculpt and the detail of her heeled boots quite exceptional. 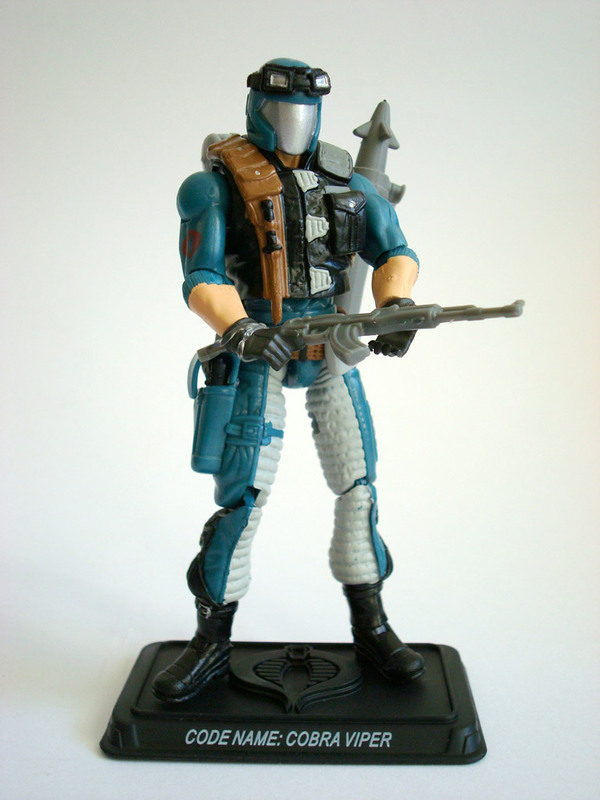 3) Cobra Commander (v3) uses the Pyramid of Darkness mold but adds the Comic Pack cape. 4) Zartan is the same mold as Wave 11, but some nice paint apps on the shoulder armor, a clear plastic chest plate painted magenta (as in the cartoon whenever he gets upset), and a paint scheme on the boots that reverses the black and the greys makes this version a must have. 5) Cobra Viper uses the same mold as the Wave 7 version, but with new hands to avoid the “bent wrists” syndrome and a chromed helmet (taken from Cobra Commander (DVDw5)). His rifle is also a metallic grey. The G.I. 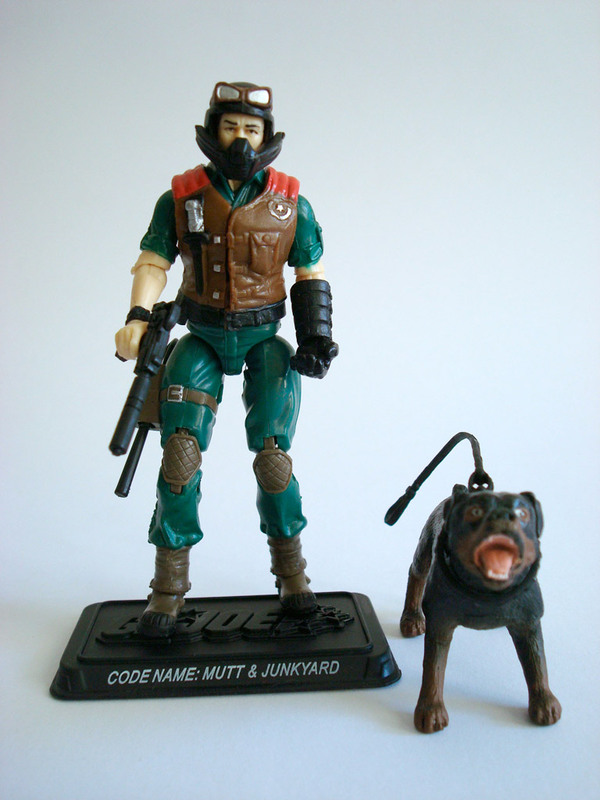 Joe set includes Snake Eyes (5-Pack v3) and Timber, Lady Jaye (5-Pack v1), G.I. Joe Hawk (5-Pack v1), Flint (5-Pack v1) and Shipwreck w/Polly (5-Pack v1). 1) Snake Eyes (v3) uses the same mold as the Arise, Serpentor Arise! figure, but with black instead of purple hues. Timber is an all new mold. 2) Lady Jaye sports a new body with the head coming from the Revenge of Cobra DVD set; she also has a new javelin that is easier to hold. The details of the collar and the dagger on her chest are pretty cool. 4) Flint uses the Wave 8 Tiger Force mold, but in the classic colors. His webgear is all new so that it buckles at the side instead of the front, and his head sculpt is new as well. He also has a new shotgun. 5) Shipwreck has a new head, new right hand (so he can hold things now) and new pants. He also has a harpoon gun instead of the classic pistol. Polly is an all new sculpt. So, within a month of Wave 9’s release comes Wave 10 of this excellent line. Hasbro keeps offering interesting character selections; here they keep things fresh by including a mix of some fan favorites along with some new characters. What follows will be a review of the figures that came in this wave, with the exception of Tiger Force Duke. **UPDATE** See Tiger Force Duke review at the end of this post. 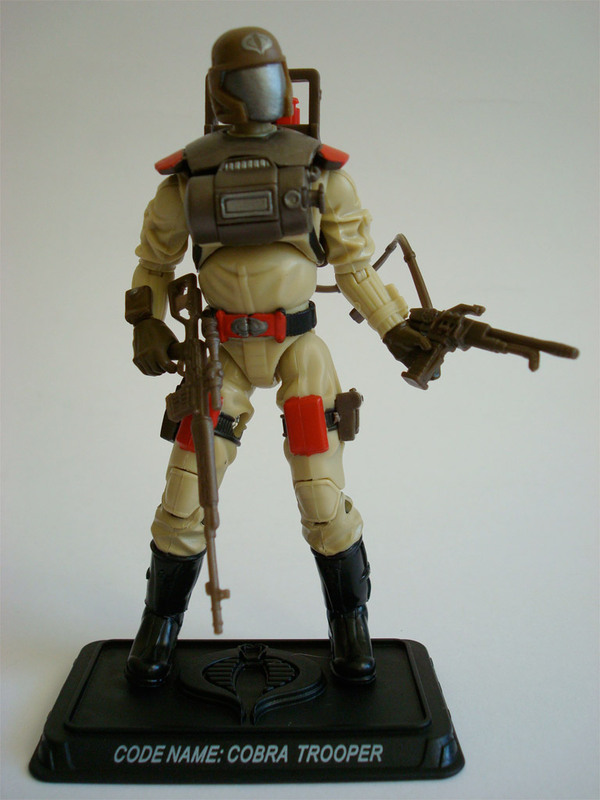 This review covers the figures found in the second set of the online exclusive multipacks. In my opinion, this is the better set of the two mainly because it contains the debut of Scrap-Iron, albeit in winter-blue tones; also, I find the Snow Serpents and Vipers more visually interesting than the Crimson Guards and Cobra Troopers of the Desert Assault Squad. Finally, they come with a ton of cool accessories which elevates these figures from just being re-packaged and repainted toys (I’m looking at you Star Wars and Transformers!). This review covers the first of two online exclusive multipacks both of which have hostile environment themes. The figures are mostly an amalgamation of parts from previously released figures, and many of the combinations are very creative. In my review of these figures, I will break down as much as possible where the re-used parts come from before giving my thoughts on the pros and cons of the figure as a whole. Cobra Extreme Conditions multipacks have arrived! This is the second set — the Arctic Assault Squad. Figure reviews to come in a follow-up post.